Now that you’ve made the switch to vaping or you are just trying it out, let’s talk about how to take care of your vape pen. Don’t be surprised if after continued usage you start to notice smaller smoke clouds and possibly even a slight burnt taste. Just like everything else, your vape pen requires regular maintenance to continue functioning properly. This includes occasionally changing the coil. For those who may not be fully abreast of vape anatomy, vape coils are what help the atomizer vaporize the e-liquid that is fed through the filter up into the mouthpiece. There are a variety of different vape coils including wick, ceramic, pancake, and donut, that are used to achieve different effects. Similarly, you can have single-coil or double-coil atomizers. Double-coil atomizers have two coils running to the battery, which produces twice the vapor once the battery is deployed. 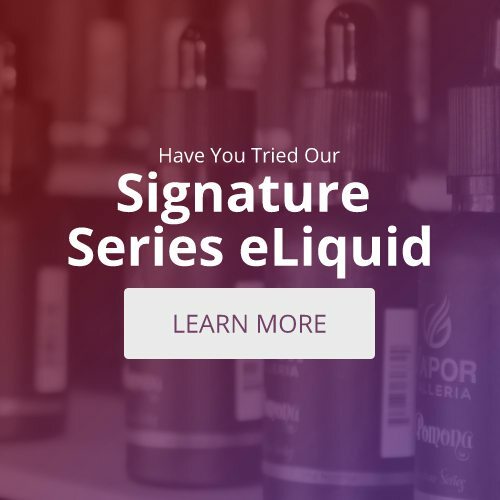 While this option may provide more vapor and flavor, they also use up e-liquid faster than their single-coiled equivalents. 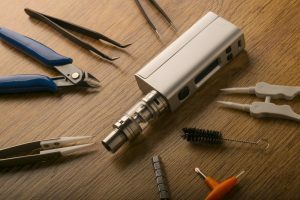 When it’s time to replace your vape coil, you first have to determine whether you’re working with a top or bottom coil clearomizer. If you’re working with a bottom coil clearomizer, unscrew the device base and remove. In the center of the base you will see the atomizer coil. Unscrew it and discard, then screw in your replacement coil and re-connect the base. If you’re working with a top coil clearomizer, unscrew the top portion of the vape device (the mouthpiece part). The atomizer coil will be in the center of that piece. Unscrew and discard the atomizer coil, replace with a new coil, and then screw the components back together. Allow your vape pen to sit upright for 3-5 minutes after you add your e-liquid to ensure the wick or filament is properly soaked, otherwise you could end up ruining your atomizer head. Most newer devices are sold with replacement coils, but if not, the instruction manual will most likely have the proper component listed. If you don’t have an instruction manual, go ahead and Google your device to discover which coil you need. They normally run around $10-$25 online.